The tradition of reading 'Twas the night before Christmas poem on Christmas Eve is a Worldwide institution and tradition. It has happened that almost all the children in the world know this poem! One of the oldest and most popular Christmas poems ever, wonderfully illustrated by Jessie Willcox Smith and perfectly suitable for Smartphones and Tablets. 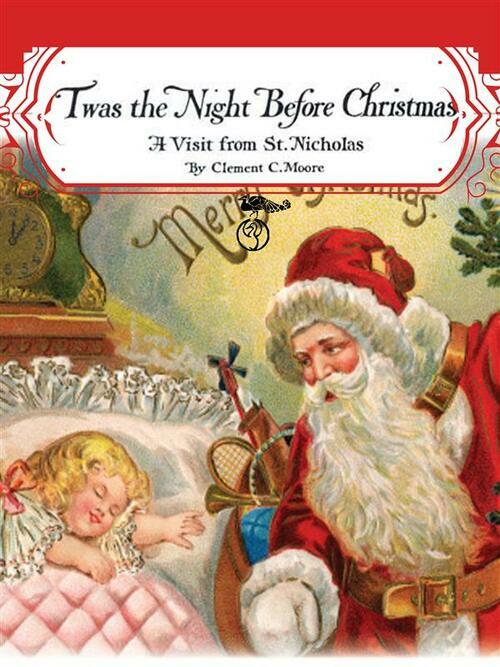 "A Visit from St. Nicholas", more commonly known as "'Twas the Night Before Christmas" from its first line and "The Night Before Christmas", is a poem first published anonymously in 1823 and later attributed to Clement Clarke Moore. The poem is largely responsible for some of the conceptions of Santa Claus from the mid-nineteenth century to today. It has had a massive impact on the history of Christmas gift-giving. 'Twas the Night Before Christmas, being very well-known, has inspired many parodies, adaptations, and references in popular culture.